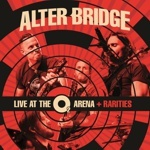 Alter Bridge have launched the digital pre-order for their upcoming 'Live At The O2 Arena + Rarities' album, set for release on September 8th via Napalm Records. The 30-track collection is now available via all digital retailers and can be ordered via iTunes here: http://smarturl.it/LiveAtTheO2-iTunes and is also available via Amazon here: http://smarturl.it/LiveAtTheO2AmazonMP3. Fans who pre-order the album digitally will receive an immediate download of the live version of "The Other Side." 'Live at the O2 Arena + Rarities' captures one of the biggest moments of the band's career, when they played their monumental show at London's famous O2 Arena on November 24th, 2016. Alter Bridge also recently announced another career milestone. The band will play two nights at the iconic Royal Albert Hall in London on October 2nd and 3rd, backed by The Parallax Orchestra - a 52-piece ensemble conducted by Simon Dobson. Both shows sold out in under 7 minutes. The album has been available for physical pre-order (http://smarturl.it/LiveAtTheO2Arena) since it was announced last month. The 3-disc collection contains the double live recording showcasing a variety of fan-favourites including "Show Me A Leader", "Rise Today", the Tremonti sung "Waters Rising", the acoustic-driven "Watch Over You" and their mighty signature anthem "Blackbird". In addition, the full-length "Rarities"-CD features the never-before released tracks "Cruel Sun" and "Solace" that were recorded during the 'One Day Remains' sessions. 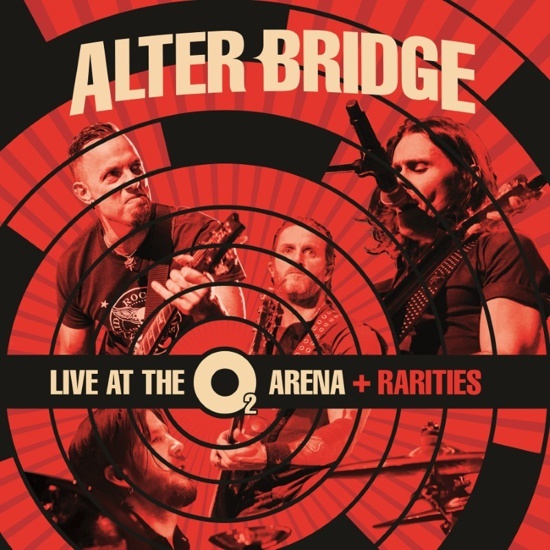 In addition, fans can order the limited deluxe version which also includes an exclusive Alter Bridge documentary featuring interviews with the band, their crew, and family, giving the fans an amazing glimpse behind the scenes of this legendary show at London's O2 Arena! Check out the trailer here: https://youtu.be/Ifw-sdxHrvU.